Going down memory lane, Ms. Jayalalithaa said, in 2006 as leader of the opposition in the Assembly, she had defended her party and also raised several issues. “But does Karunanidhi or Stalin, who claims to be the future leader, have the guts to debate in the Assembly. Had Karunanidhi the courage, he would have come to the Assembly and participated in the debate,” she said and added the DMK members knew that they would be unable to answer her. Referring to the walkout staged by the DMK legislators seconds before she moved her portfolio demands for grants for the Police and Fire and Rescue Services departments, Ms Jayalalithaa told the Assembly Monday that if they really believed in taking part in the debate, the 10 DMK members (who were not suspended) should have attended the proceedings today. “But they (eight of them) came today and staged a walkout. There were some former ministers among those who attended. Don’t they know how to speak?” she asked. 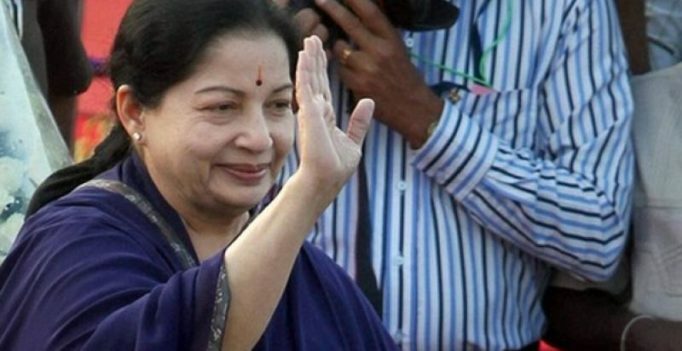 “But in 2006, when the Opposition AIADMK members were suspended I, being the non-suspended member and as Opposition Leader, attended the House single-handedly and participated in the debate on the Governor’s address and registered my views,” Jayalalithaa said. On August 16, M.K. Stalin himself has said that he was ashamed and hurt by the behaviour of his party MLAs in the House and that he was even ready to apologise to the Speaker. The 79 DMK members were suspended for a week by the Speaker P. Dhanapal after they disrupted the proceedings of the House and created a ruckus, she said. But, they mislead by stating that action was taken against them to prevent them from attending the debate on demands for grants for the police department, she said. Caretaker Chief Minister O. Panneerselvam sitting in a meditation in front of late J. Jayalalithaa’s burial site at the Marina Beach in Chennai on Tuesday…. It added that signing a declaration to end the 1950-53 Korean War would be the first step towards achieving regional and global peace and security…. Kareena Kapoor miffed with friend Karan Johar due to delay in start of film?